ACWGC Forums • View topic - Hey AoO, Nice website! You know what, you're right General McClellan. If some officers don't want to set up a site for their army or update it for a year or more they shouldn't have to. Having a central focus for your army to meet and recognize each others achievments is way overrated. Taverns are superfluous anyways we can all meet here at the M-D tavern and not communicate. In fact, we have an Eastern Theatre commander who has never had a website for the three years I've been in the club. If there are Corps commanders who never contact their divisional commanders, never organize tournaments and basically sit in their command waiting for promotion to Lt. General. Well, I think we should let that go. In fact, that's a good thing. Divisional command? Well basically that's a decorative position requiring no motivation at all. No need to get your men to muster anymore. No need to answer their emails promptly. It's all a wash. I've gone way over the top on this one and I apologize to all of you. To atone for my mistake of trying too hard to get people to pay attention to something that was clearly not a problem in the first place I will resign my Divisional command and War College duties. Less responsibility the better in the hands of such an insulting overeager dolt as myself the better. Sorry to have taken up any of your valuable time. Army of the Potomac, Union! General Golen, it's clear that you entirely misunderstood my point. ETA: I did just notice in rereading your previous posts that you did communicate with the Union CoA, and I apologize for missing that before. However, I still strongly feel you should go to the cabinet before trying to humiliate a fellow club member. When I say "communicate directly", posts on the club board are not "direct" communication. Email those officers. Express your concerns in an appropriate way, instead of simply mocking officers publically. Whether or not the Army of the Ohio has a website or a tavern is a concern of the Army of the Ohio first of all, then of the commander of the Western Theater, then of the General Commanding the Armies of the Union, and beyond that, for my money, it's nobody's concern at all. A division commander from another army publicly taking an army commander to task for not doing his job is certainly out of line. Quite regardless of whether there is substance to his criticism or not. Gentlemen of the Union & fellow Club Members of All Persuasions. I watched this thread from the beginning and had my suspicions that it was a re-run of a thread, posted on the Union Board - which I was unable to read - being from the other side of the Divide. I watched it develop and was a li'll concerned at some of the presentation of views - rather than the actual Subject Matter - but, felt that No Rules had been breached, so I withheld comment. As far as I was concerned as a Confederate and as one of the Moderators of this Board - this thread was a Public washing of Union Dirty Linen . . . . and to a tiny degree, there was a mild entertainment value in it for Me. I normally check the Boards 6-7 times a day . . . . being only partially employed - I have that luxury - and normally, I would catch "Events" like today's, "Live", as they happen. Today I was working in the Morn and then went immediately, to Dublin on business. I was dismayed upon my return, to read that this Topic had exploded into a unpleasant situation. I cannot speak for Cabinet, nor can I claim to speak for any percentage of the Club Membership. I wish to comment and p'raps be so bold as to advise. HOWEVER - let Me categorically place on the Record, that what follows are my PERSONAL viewpoint and should NOT be taken as an endorsement of any side in this debate . . . . NOR should my Comments be taken as a criticism of any Officer involved OR previously mentioned in previous Posts on this Subject. 1. Major General Golen has followed the steps # 1. # 2, and # 3 - as suggested by Major General McClellan on this matter, to some degree. 2. Major General Golen is passionate about this topic and about the ACWGC in general. 3. Major General Golen is frustrated by the Response (or lack thereof), that He has received from the Union Command Structure. As a small example, Don mentions the He " lightly addressed this with the Union commander" and He feels that He was "brushed off". Perhaps, Don Your passion on the subject was not expressed forcefully enough when addressing the CoA of the Union? However, be that as it may, Gary has outlined a clear and definitive path for your concerns. He is quite correct in stating that - regardless of any Individual's position in the Club, or their past contributions, the M-D Board is not the place to raise the Subject. You use sarcasm and "abrasive" language at the beginning of this thread. I understand why. Your frustration is clear. Again . . . we have seen in the past, how such language - no matter how noble or important the subject - will invariably irritate at least one fellow Member or Section of the Club, and can very quickly deteriorate, into a "free for all", with insults traded and resignations reigning in Blizzard-like rapidity. LET US ALL HALT ALL DISCUSSION ON THIS MATTER NOW. CEASE, DESIST AND TAKE A STRESS PILL FOLKS! There is a facility on the Boards, for any Member to e-mail all Members of the Cabinet. Don, please use it to notify the Cabinet of Your concerns and to request an examination of the matter in toto. This facility is specifically present for this sort of situation. I would venture, that were any member to accuse another of Cheating in a Post on the M-D Board . . . . there would rightfully, be howls of derision and indignation from all sides. Whilst this subject is not of a "character tainting" nature, in the same vein as an accusation of Cheating, it <i><font color="red">does </font id="red"></i> carry an accusation - that of neglect of Duty and Dismissal of the Club Format Rules. Therefore - it should be discussed in Private. The procedures and Forum/facility are provided for. Please use them as they were intended. Finally Don, I would respectfully Request and advise Ye to withdraw or withhold any resignations on Your part until this matter is discussed and any possible action decided upon. An Officer of your undoubted Skills, Passion and Endurance is just what this Club so badly needs. Please do not waste these commendable attributes on a fit of pique and frustration. I think that you might regret any rash actions on your part, in the future . . . please take your time NOW, follow the above course and by all means, if you are dissatisfied with the final Outcome, well - THEN consider your path forward, within the ACWGC. I mean no disrespect or admonishment My Friend . . . . I am genuinely dismayed that you feel so disillusioned at present. Bring it to Cabinet and I am sure the Entire Club will benefit from the process. 1)I am sorry if I insulted any officers. I admit, my mission was to stir people up in the hopes of stimulating thought on a topic I think is important. I see now that change is not going to happen and all I did was insult some officers whom I genuinely admire. Once again my apologies. 2)I will no longer be posting on any of the general civil war boards. Less of my mercurial personality the better. First off, I'd like to say that I'm not in agreement with publicly disparaging an officer or his command in this way. While I'm all for cajoling and friendly competition, I think this was a rather negative approach from the start and is not something I like to see in our Club. 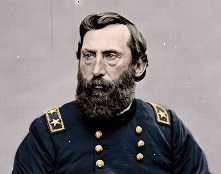 Secondly, I'd like to let everyone know publicly (I've already let General Golen know separately) that much of the complaint that I'm understanding within this topic is not going unaddressed within the Union Army. General Golen is right to point out that we can improve in several areas of our leadership and what we provide to the Union Army membership. We'll be making changes in the near future, so stay tuned! I'm also keen to hear what people feel needs changing and improving, so watch for that post at the QM Depot as well. Now that you've returned from ya'lls Club Med cruise with the Swedish Bikini Team and if your strenght is up still[:p] drop on by the Chickasaw Bayou to part take in my Wet down party. The fine refreshments were provided by General Mallory, we picked the lock on his liquor cabinet and borrowed some fime sippin whiskey, scotoh and gin, also any other yank can visit if they dare to travel south.